The following text was for the first time ’published’ in a handwritten ’bulletin’ of the Akronafplia prison’s nucleus of EOKDE, the Greek section of the FI, in August 21, 1941. In 1945, it was printed as an introduction to the Greek edition of Trotsky’s Revolution betrayed, translated by Pouliopoulos. It was reissued around 1993 as a pamphlet by the Pandelis Pouliopoulos society, with an introduction by D. Livieratos, along with a couple of other texts. 1. Like Lenin , Trotsky stated always that he is simply a marxist, a true disciple of Marx. There is really no such thing as ’leninism’ or ’trotskyism’ as special, new theories next to marxism, which correct it or “fill its blanks”. 2. The tremendous scientific discoveries which we owe to the genius of Marx and Engels: the materialist conception of history, economic and political theory of the laws of capitalist society and its socialist transformation - constitute a tightly-knit set of theories. Founded in a special world-theoretical base, dialectical materialism, they create for the first time in the history of human thought a truly scientific theory of the social process. Their source is a higher creative synthesis of classical german philosophy, english political economy and french socialism in the mid-19th century. 3. No one after the death of Engels added to this structure of marxism a new ‘complementary’ foundation side by side with those created by the spirit of the two teachers, nor could anyone overturn any of those foundations. The revisionist attempt of E. Bernstein at the end of the 19th century to revise the economic theory of marxism, especially the theory of the acummulation and immiserisation and the attempts of M. Adler and Bazarov-Bogdanov at the beginning of the 20th century to integrate the world-view of Marxism with neokantianism and empriocriticism, were not scientific efforts. They remained eclectic reactionary attempts and were forgotten early on, after they managed to create a temporary confusion. Even worse with the old attempt of Lavrov to find the bridge with anarchism and bakuninite idealism, as well as Kounov’s later one to find a compromise between the theory of Marxism and liberalism (“Marxist Theory of the State"). K. Kautsky’s later noteworthy attempt to create a synthesis of marxism with the newer results of ethnology and biology (darwinism and especially neo-lamarckianism), with the aim of a unified explanation of the social alongside the biological process under this light, would have been in the best case a developing work limited to the ideas of the world historic basis of classical marxism. (Marx-Engels: Holy Family, Engels: Dialectics of nature, L. Feuerbach, Anti-Duhring part A). On the other hand the basic criticism of kautskyianism on Engels’ exposition of the birth of the state is essentially an eclectic retreat from acquired theoretical positions of marxism: a blend of Marx and Goublovits (’theory on the races’ - “Rassentheorie"). The theoretical contribution of the post-war Kautsky is a shy adaptation to the positions of Bernsteinism which with such success had been refuted by this same theoretician of the 2nd International. Hence his irreconcilable battle against Rosa Luxembourg, Lenin and Trosky and the theory of bolshevism generally. 4. From its own essence marxism is not a closed dogma, immovable. It presupposes the possibility and necessity of its later development. With the results of its new experience and the new advances in science, marxism - its method itself - has demanded from the beginning not only to be checked every time so that it is proven right, but also to be enriched with new theoretical conquests. The tree of marxism with its strong roots dug into the fertile soil of historical reality, always spreading them deeper, always spreading its branches out higher, will always be enriched with new formations sprung from the stern trunk of its teaching. 5. Is marxism an ’eternal’ truth , as opposed with all the others of which none is absolute, forever given? Is it impossible in the future for historical experience to disprove it as a whole or in its parts? Criterion of truth for every theory is action. “In the beginning there was action”. All the new realities after the death of the two founders presented by the development or proved by science with the most perfect tools of observation, experimentation and logical abstraction, have done nothing up to now but reaffirm the scientific correctness of marxist analyses. From this point of view, only one type of ’revision’ of marxism is possible and necessary: the development, the enrichment of its reconfirmed bases with newer conquests in social science and the general theory of sciences. Not back to Kant or St. Augustine, but forward, towards the catholic science of the communist society which will crown pan-human civilisation. Such is the progressive work which the better students of Marx and the refounders from the epigone reformism have carried out - Rosa Luxembourg, N. Lenin and L. Trotsky. 6. Marxism proved to be totally adequate to explain the social process on the basis of the experience in the era of capitalism, its collapse and the socialist revolution. The future generations of the communist society without doubt will raise human knowledge much higher with their incomparably richer experience and their incomparably better instruments of knowledge. In their developing movement they will need to climb the steps of marxism above all, just like Marx and Engels needed to climb on their preceding steps, from Aristotle to Spinoza. The same with the science of nature, to approach reality climbed up to the top of Einstein based on Democrituses and Copernicuses. In this sense marxism is an “eternal achievement”. 7. The theory of marxism did not have the time to be presented by its founders in a systematic way, apart from the realm of economic science and even there partially only. Quite frequently the thesis on essential laws or on entire complexes of fundamental ideas occurs in a haphazard manner or is presented in concentrated aphorisms. (Example: Historical materialism in two pages of a preface of the Critique of Political Economy) But there exists up to now, no basic theory developed by the continuators, whose nucleus we can not find clear with chemical clarity in the works of the two founders of scientific socialism. On top of this later on, did the great cultivators of the theory add. 8. With all three latest theoreticians of revolutionary marxism, the deep teaching is revealing itself and becoming enriched by the advances of new study on top of new historical experience with the instrument of its own method. A deeper understanding in the work of the motive forces and the laws of movement from capitalism to socialism has been achieved, especially on the particular laws of the imperialist epoch. The tree grew much deeper roots. New bright branches sprouted from its trunk. On a general level, Luxemburg’s contribution is the development of the theory of accumulation on the basis especially of the first volume of ’Capital’ and the charts of the third volume: a very deep study with the purpose of giving a marxist explanation to the economic mostly phenomena of imperialism at the beginning of the 20th century. Lenin’s main contribution is the further development of the theory of the state, especially of modern democracy, about the peasant and national problem as a problem of the allies of the revolutionary proletariat (including the colonial problem), the theory of the building of the revolutionary party of the proletariat and its strategy. Also noteworthy is Lenin’s supplementary effort, based on Joseph Dietzgen’s marxist theory of knowledge, after Plekhanov’s effort, for reclaiming dialectical materialism from the influences of the movement ’back to Kant’ and its connection with the newer progress of the natural sciences. (materialism and empiriocriticism). 9. A place of special importance in the history of Marxist theory is held by Leon Davidovitch Trotsky as a continuator of Marx-Engels and after 1924 of Lenin. The investigation of Trotsky’s work as a theoretician is a timely task of particular importance. Trotsky is the theoretician of the ’permanent revolution’ in the 20th century. 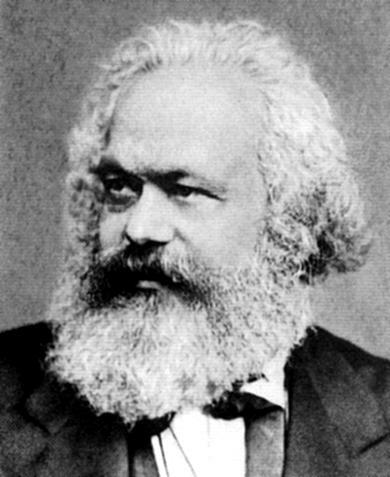 As such he developed and proclaimed laws of marxist theory which govern a) the relationship between the bourgeois and proletarian revolution, b) the passing of the revolution from the national to the international plane, c) the transformation of the international revolution to a world revolution (noteworthy here is the further development of the theory of the motive forces of and the course of the revolutions in the backward colonial or semi-colonial countries - Russia 1917, Chinese revolution 1925-27: law of “combined development ”as a logical development of the law of “uneven development", d) the strategy and tactics of modern civil war, e) the economic and sociological preconditions in the development of the socialist plan, f) the conditions and the course of bureaucratic degeneration of the proletarian dictatorship in an isolated national state. 10. The idea of the ’permanent revolution’ was conceptualised and proclaimed in a very concise summary by Marx and Engels as a result of the revolution of 1848 (Letter to Kugelman, Marx-Engels Correspondence, Communist Manifesto, Political Will of Engels). The study of the Russian experience at the beginning of the 20th century gave L. Trotsky the possibility to apply the theory in a concrete national case and, more importantly to refine it with all the elements of marxist teaching about the socialist transformation of society: internationalisation and globalisation of the process of social revolution (1905, Permanent Revolution, History of the Russian Revolution) Trotsky’s theoretical achievement as a fighting marxist is the absolute unity of critical - analytic and synthetic - thought concerning the successive phases of the thermidorian nationalist degeneration of the USSR and the Communist International and the struggle for the re-birth of the international revolutionary movement (I.L.O., 4th International): All the political litterature of Trotsky, in all its parts is nothing more than a clear scentific conclusion, born out in an irreconcilable consistency from a united theory about the permanent revolution,national, international, world, before and after the conquest of power. 11. Trotsky is usually considered to be the theorist of the phenomena of the decline of the proletarian revolution. But he is as well the theorist of its ascendancy. No one after Lenin pushed to such a depth the theoretical research of the problems of reconstruction as L. Trotsky. Of special importance here is the conception, the laying out and the implementation of economic planning (“Where is Russia Going","Platform of 1927", “Anti-Stalin","Lectures to the Commitee of State planning from 1923"). Fruits of trotskyist researchan are the laws of the ’scissors’ and ’smychka’ which have passed to the international vocabulary. Lenin did not live to analyse theoretically the new experience and especially the particularly contradictory forms his brilliant analysis about the alliance of workers and peasants as one of the bulwarks of the proletarian dictatorship took in ’isolated and backward’ Russia. 12. It is to Trotsky that we owe undoubtedly the first scientific sociology of the postrevolutionary bureaucracy and a truly scientific analysis about the progressive degeneration of the ruling proletarian party and state (in its different stages): centrism, thermidor, bonapartism. Here the theoretical processing of marxist teaching, prompted by the spirit of political action, reaches its peak of creativity. The whole of marxist litterature after the death of Engels did not give another work with so much unity of thought, depth of analysis and striking perception, as the Revolution Betrayed. 14. Trotsky generalised theoretically, like no one else until now, the particular phenomena of the “crisis which erupts in the proletarian party on the eve of the revolutionary coup", as well as the symptoms of the pathology of the party organism in general, and particularly in the years of the postrevolutionary decline, giving us the appropriate therapeutic answers. (Lessons of October, New Course). 15. Lenin’s teaching is the highest contribution of marxism for its own restoration from reformist distortion, for the explanation generally of the phenomena of imperialism and the social revolutions of the 20th Century, for the preparation, for the actualisation, the stabilisation of the socialist victory and for its first, “heroic ”stage. Trotsky’s teaching is the highest contribution of marxism in the 20th century for its rebirth from the reformist and nationalbolshevik (stalinist) distortion, for the phenomena of imperialism and the social revolutions of our epoch, for the preparation of the proletarian victory, for the first and second stage after this (“soviet thermidor-bonapartism"), finally for the conditions which determine the solution of the post-revolutionary crisis. Thus Trotsky is the continuator and refounder not only of Marx and Lenin. 16. At the end of his life the Founder of the Russian Revolution became its historian. We already have precursors of his multi-volume “History ”from 1918 and from 1923 (From October to Brest-Litovsk, Lessons of October"). Specialists in ’Critique Sociale’ and others have characterised it as a monumental work of world historiography, higher than the historical work of Thucidides, the first after Marx’s historical works purely scientific study of great historical events. It’s not an overstatement. The trotskyist work only with Karl Marx’s 18th Brumaire of Louis Bonaparte and Engels’ Peasant war can be compared. For the first time since then does a marxist give in such a manner the measure of the power the historical materialist method has in revealing in their logical interconnection all the deeper roots, subjective and objective, of the historical process, laying in such a manner a great synthetic picture of the hidden in its complex connections unity. Trotsky here surpassed even Kautsky with whom marxism has given a truly classical historic work, the “Origins of Christianity”. Trotsky as a historian presents in a level which is unsurpassable the deep study of the material and the ability of unearthing the essential, the astonishing multiplicity of viewpoints and the study of every partial subject and the ability to conceive the historical process as a whole, the magnifiscence of lively simplicity and the crystal clarity of exposition and finally the unbeatable power of dialectics whose arguments fell like catapults to the time-honoured methods of bourgeois historiography. (In Kautsky on the other hand, the exposition has often an obviously scholastic tendency). 17. Trotsky is the most multi-faceted marxist theoretician who has also embraced in his field of study the highest regions of the social superstructure: literature, art, culture generally (the first work on the subject: “Literature and Revolution", his polemics with the bukharin-stalin school of “proletarian art", his pamphlet about Wells and others). Here Trotsky is in a way a continuator of Plekhanov who even surpassed him from many aspects especially the acuteness of observation, the breadth of the horizon, his encyclopaedic erudition and the gripping charm of his literary style. As a writer generally Trotsky comes close to the classical monuments of marxian style giving us at the same time a totally new creative type. He is especially characterised by: brilliant conceptualisation, rare concentracion of ideas in a structure of the word ascetic, transparent and flowing, persistent moulding of the phrase to the point of artistic perfection, astonishing richness of images which, combined with laconic conciseness, suddenly innundates with light even the most complex thought, making it accessible and productive to the simplest as well as to the most difficult reader. Very often Trotsky’s pages amaze us like praxitelian reliefs, while the subtle irony can mercilessly crush the ideological opponent with the self-powerful force of truth. (Very early Stalin was killed by ridicule, due to just a couple of witty epigrams by Trotsky). 18. Trotsky: style-philosopher-human actualises the new human type, the socialist neo-humanist of tomorrow’s society. He ranks among the few fighting labourers of the spirit who lived beyond the prehistory of humanity, before it enters its direct history. For the new proletarian generation, My Life and Speech to the Hippodrome of New York are masterpieces of socialist education. Their power is greatly elevated by the abundant epic and dramatic element. 19. One of the most important contributions of Trotsky to the theory of marxism is the concrete negation, on the basis of the russian and international experience in the 20th century, refutation of fatalism with all the theoretical and political consequences. Here Trotsky departed decisively from a whole series of true or doubtful friends of the marxist opposition of the bolshevik-leninists and the 4th International. 21. All the analyses of marxism on historic accompli have searched inside it, first of all, for the ’natural law’ of later social developments. This law would then have become a ’guide for action’ for the revolutionary class. Marx and Engels have criticised the ex cathedra scholastic and conservative metaphysical contemplation (Spekulation) and have denied it the name of science. Not the dead dogma, but the living complex of ’contemplation’ with practice is the foundation of science. 22. Just like the other two great continuators, Trotsky based every one of his theoretical analyses in the unbreakable unity of theory and revolutionary practice. Trotsky is a marxist in the most perfect meaning of the term. 23. A refined version of oriental fatalism projects the, verified by the method of the natural sciences (naturwissenschaftlich) law of necessary succession of historical events, as an argument to ’prove’ that it is pointless for humans and classes to intervene in a revolutionary manner to transform the status quo. The ’law’ here becomes a mechanistic scheme and the revolutionary dynamism of life is erased with a stroke of the pen. Dogmatism, mechanistic schematic thought and fatalism are interrelated and one follows from the other. 24. Fatalism as a frame of mind is from its own nature unable to acclimatise itself to the proletarian revolutionary movement. Because it is irreconcillable with the general conditions of life and activity of the revolutionary class, the modern proletariat. Only echos of this negative ’theory’ can from time to time be brought to the proletariat by decadent politicians, fellow travelling intellectuals and pettybourgeois who have entered its lines by confusion, particualarly in periods of reaction. 25. Deeply unscientific concept, fatalism is the exact opposite of revolutionary marxism. It remained an essentially conservative philosophy even when it wanted to dress itself with revolutionary phrases. In the end, what divided socialdemocracy from marxism was its fatalism. It viewed the law of the inevitable socialist transformation as just a fatal imperceptible accumulation of elements of the new society within the old one, whilst from its perspective was lost the motive force of this inevitable course, the will and the conscious practical struggle for the socialist revolution. If this factor was lacking “there are no absolutely impossible situations for capitalism ”(Lenin, 3rd Congress of the Communist International). The most convincing refutation of fatalism in our years was given by Trotsky’s analysis of the permanent revolution, especially the problem of the USSR in relation with the International Left and the 4th International. 26. The fatalistic mechanistic approach was totally lacking from Luxembourg’s mind in her - mistaken however - polemic of 1918 against Lenin and Trotsky (“If socialists remain in power in isolated Russia only mistakes will they be able to make in their policies - auf dem Kopf gestellt"). Rosa died leading the struggle for the permanent revolution, for its extension from Russia to Europe. 28. On the same basis, very soon thereafter did the split between Trotsky and Boris Souvarine occur, and later the condemnation of the propaganda about ’red fascism’ in America. Trotsky’s critique annihilated the ’theory’ whose formation was attempted in France the “Luxembourgist ”Laurat and the anarchosyndicalist theorist Louzon, according to which the new bourgeoisie has already been created as a butterfly from the chryssalis of the soviet bureaucracy and was already ruling before 1930. All the related polemic of Trotsky and the International Left Opposition stress with particular emphasis the conservative and reactionary character of such revelations. 29. In Trotsky’s thought the analysis of developments in the USSR cannot even for one moment be divided from the ideas and slogans with which a political struggle is occurring in the country, strangled but nevertheless fierce. “History here is intertwined with living politics”. The ’dogmatists will not be satisfied’ with Trotsky’s ’imperfect’, ’potential’ definitions of the USSR. He does not say “yes-yes","no-no ”and does not present ’definitive formulas’. It is not always so ’simple’, ’clear-cut, the outline of sociological issues”. Not forms with ’syllogistic precision’. “Let us not put aside the elements which tomorrow may overturn our [rational] constructs", however rounded off they may appear. “More than anything else we are afraid of violating the dynamics of a social formation which has no precedent and knows no analogies. Our scientific and political aim is not to give a finished answer to a development which hasn’t finished, but to observe all the phases of the phenomenon, to show clearly its progressive and reactionary tendencies, to reveal their interconnection, to predict the various possible variations of future development and to find in this prediction a base from which to act”. 30. The assertion that Trotsky learnt a ’new historical law’ correcting marxism, which governs the fatal course of proletarian power towards a bureaucratic dead-end, is a baseless theoretical attempt to cover fatalism with trotskyist attire. Marx’s and Lenin’s conclusions from the supposition of “the socialisation on the basis of poverty ”(Marx) and from the “struggle for privately necessary ”(Engels), which for a period continues after the victory of the proletariat, the “unnavoidable in the first phase of communism application of bourgeois right ”(Marx: Critique of the Gotha Programme Engels: in Neue Zeit on Right etc. ), found in the theory of bolshevism a more “acute ”formulation with the idea of the provisional ’bourgeois state without a bourgeoisie ”(State and Revolution). They are summarised finally in Trotsky’s demand for a workers state “mover of production”. The programme of the Bolsheviks’ party here - “state of armed proletariat", a struggle against the bureaucratic danger with the gradual raising of the masses’ administrative potential, recallability and proletarian wages etc. showed its practical inadequacy and came into conflict with the reality of post-revolutionary Russia in a later historical stage. If then it was finally proven that Lenin and Trotsky ’underestimated’ the future problems, this is due to the internationalist perspective on which unnavoidably marxist theory of permanent revolution based their policy. But this does not at all lead Trotsky to affirm a “new law”. (He himself puts quotes on the word which he incidentally uses). Basically it obliges him as a marxist of the post-leninist years to fertilise the theory with the aid of the Russian experience for more effective action with the further development of the initial theoretical weapons: With the “bourgeois rules of distribution", an automatic surpassing only on the basis of the old bolshevik programme is impossible. It is in this direction that Lenin on the eve of his death made strenuous appeals and proposals against the ’bureaucratic tendencies’ which would “appear everywhere else after the proletarian revolution"(Trotsky). "The poorer the society born from revolution (and the more lacking in general culture), the more dangerous can become for the development of socialism the bureaucratic system”. In what level this possibility will become reality and which system will take over the other is an issue which will be judged by the struggle of living social forces. This struggle will shorten for the proletariat, if it is successful, or delay if it is makes mistakes, the rhythm of socialist reconstruction on the basis of a correctly or mistakenly determined objective reality in every country. The limits which the dynamic of this action cannot surpass, were drawn by the international character of the socialist revolution. But the essence of this is the most radical negation of fatalism. 31. Is the tragic solution of bourgeois restoration inevitable in the soviet drama and with it the reconfirmation of fatalism, who placed his marble on this color? Dostoevsky’s character, with happiness counting the money he won, shouts with joy that he knew the marble would fall on the black colour. The class struggle is not a game of roulette. If the revolutionary class ’gambles’ in a certain way: its scientific marxist orientation - yet never on the black!, the result however is not predetermined by destiny, it is a result of the classes’ struggle. “Beyond marxism ” Henri de Mann thought he was going, but only after conveniently imagining Marx as a ruthless Jehova who, with the gravestone of certain ’laws’ of his theory predetermined once and for all everything which was going to happen to people and made redundant any conscious intervention on their part. 32. Trotsky too answers fatalism with the marxist dialectics of revolutionary struggle on the USSR problem. Does history hold for the October Revolution a gigantic repeat of the drama of the Commune? -We will have fought like the communards, we will have studied like Marx. We tomorrow will win leaving for today the panic-stricken pettybourgeois to lament fatalistically his jeremiad. 33. (Trotsky’s logic was the same on the issue of the old and new orientation towards the Communist International. The new orientation did not come about from the great head of the world’s corrector. It stood as the natural historical continuation and logical consequence of the old orientation of reform. Archeiomarxism in that entire historic struggle, from its beginning to its end, was not with Trotsky even if it once artificially assumed the title ’opposition to the KKE’[KKE:CPG - Communist party of Greece]. That is also why a “new orientation ”for him is the Independent Labour Party and its swamp: brandlerism. This same idea of the new party in the USSR (and the New International) closed within it necessarily the aim of the political revolution of the proletariat against Thermidor bonapartism. It had not simply to do with a new party, but a new revolutionary party. The date of the typical declaration of the slogan ’political revolution’ from the Russian section and the International is a secondary question. Trotsky discussing with old comrades of his, who were hesitant or against the new orientation from fear of the counterrevolution inside the workers’ state, said convincingly from then: We already have a civil war there from Stalin who is purging, hunting down, exiling, imprisoning and murdering thousands of bolsheviks). 34. Trotsky opposed more specifically revolutionary marxist dialectics to all those who wanted to place the fatalistic philosophy, dressed in the gossamer attire of ’impartial objectivity’, in the service of the thermidorean bureaucracy: “The more ’astute’ of the friends recognise in their private conversations, that there are spots on the soviet sun, but replace dialectics with the fatalistic analysis and console themselves asserting that some type of bureaucratic degeneration was unnavoidable. Fine! But resistance to evil is no less unnavoidable. Historical necessity has two ends: reaction and progress. History teaches us that people and parties who motivate it for opposite reasons end up finally in two opposite sides of the barricades. 35. To which barricade victory will pass is something that is always determined in battle. One or more defeats do not prove in and of themselves that it was a mistake for the defeated class to undertake the struggle neither do they always prove that the perspectives or forms of this struggle were erroneous. The touchstone of the weapons of criticism is the criticism of weapons, that of ideas is practice. And in social life things develop differently than in chemical tubes or astronomical instruments. The law which governs the movement of historical progressive forces of human society has within it the possibility of temporary ascendancy as well as regression, partial defeats as necessary transitional stages of the universal historical process for the necessary accumulation of experience. Without the defeated Commune and the defeat of 1905 the victory of Red October would have been impossible. Without the 1st International which was dissolved and the Left Opposition which was defeated in its struggle for the reforming of the Communist International the 4th International would have been impossible. The wise fatalist will rush from his office a declaration in hindsight condemning the movement of the Commune. Marx will praise and study it. In order to prepare the Lenins and Trotskys of the Bolshevik victory. 36. A law corresponding to this sociological one we find in the sciences of nature. Every one of their discoveries and inventions, in order to be proven and implemented for the good of humanity, needed first of all to pass through many failed trials and tribulations, sometimes through blood and sacrifices of victims of scientific progress. In the struggle to know and control the external elements the path of man until today is paved with temporary despair, sacrifice and toil. (Society is also a part of nature). Like revolution, science also has its Epic but also its Tragic. In the “Prometheus ”of Aeschelus, Marx saw the type of every real tragedy. 37. The ’friends’, representatives of fatalism, Trotsky along with Lenin viewed with particular hatred. Both called them ’bourgeois conservatives, imagining themselves to be socialists ”(Revolution Betrayed). This is the essence maintained by fatalism even when it babbles revolutionary phrases. Only in this case it can, under specific conditions and up to a point, become the yeast of ideological decomposition. 38. A form of criticism which Trotsky’s teaching rebuked, was the ’bourgeois conservative’ supposition that from 1923 onwards Soviet democracy in the USSR was already lost and the triumph of Thermidor and the counterrevolution inevitable, therefore all the struggle of the Russian marxists for reform was futile, since they did not expect a practical success and they were simply ’preaching for the future’. This is the most childish distortion of trotsky’s teaching by fatalism. The imbecile is unable to understand events as they develop directly under his nose. Filled with the courage of ignorance, he starts sending to the past his legislation, when the accomplished fact has confused him. It goes without saying that in both cases he proves himself impotent to ’change the world’. 39. The De Mann-ist distortion of marxism served to facilitate the polemic against it. The fatalistic distortion of Trotsky’s teaching has the weakness of presenting itself sometimes as authentic ’trotskyism’. 40. The Achilles’ heel of the “hegelian materialist" Ludwig Feuerbach was the fact that he wasn’t realy such on the issue of theory and practice. That is, he couldn’t overcome hegelianism and the old (mechanical) materialism. Man is formed by the social environment. But he becomes in turn from a student the educator of society. History is made from conditions independent of us. But it is humans that make it. 41. Lenin felt more the need to occupy himself with philosophy - specifically the marxist philosophy of theory and practice - when the waters of the swamp started to smell around him (pessimism, fideism, etc. after 1905). 42. The strength of the theoretician Trotsky lies in this: “revolutionary prediction for revolutionary action”. from this hang all the laws and prophets of marxism. 43. The fatalist prophet cannot present himself as a follower of Trotsky without doing what Dalilah did to Sampson. The strongest part of his teaching becomes its weaker one. Trotsky ends up being Kautsky with a red hat. 44. From its very nature every fatalism is not only inactive but also deeply pessimistic. In all the religious dogmas of fatalism destiny keeps its goods only for the afterlife.This world is the “valley of tears ”(“Jammertal ”— Schopenhauer). In politics the fatalistic pessimism is defeatism. Fatalist lamentator is also the defeatist who has lost his ideological ballast in the workers’ movement. 45. Marxism (and part of it today is Trotsky’s work) and fatalism are mutually exclusive. Here is the rotting swamp and there the rough seas. Here we hear the cries of frogs, there the roar of the engine going at full speed ahead. At one stage the driver may slow down the engine and prepares his fire. This will not prevent the engine from arriving. On the contrary. A naive misunderstanding of Trotsky’s thought would take such symptoms (a general factional disintegration) for a normal party regime. The pathology would be mistaken for physiology and therapeutics would be considered useless. Often from intellectual heads of the bourgeois world, we have heard things similar to the opinion of the member of the Greek academy who, after reading Trotsky’s exposition of the Georgia events ("Between red and white") rushed to write in an Athens newspaper: "For god’s sake, do not read Trotsky: You will be convinced"
 The negative only sides, especially the "educational-cadre building" work of the Holland school, have presented in Greece, outside of the workers’ movement and against it, two intellectuals, Julatti and Witte, with the closed "meanders" of archiomarxism, from 1923 on. "Beyond marxism", "Psychology of socialism" and the famous "Plan" are the gospels of deMannist "post-marxism". The original, as has always happened in such cases, is E. Bernstein’s "preconditions of socialism" from the late 19th century.